We all love sales and discounts when prices drop for fast food, clothing or cars. However, when it comes to mining stocks investors look for momentum and major price rises continuing to bid up the price to overbought levels. Instead, they should look for quality assets on sale in mining friendly jurisdictions when they are out of favor with the public. The key to making money in the mining market (GDX) is when you buy not when you sell. Mining equities (SIL) are priced at irrationally discounted levels and many in the business for many decades have never seen such a disconnect between the share prices and the underlying assets. This may be exactly the time to seize on opportunities of buying mining shares (GDXJ) on sale. Wall St. will intoxicate investors with a poison that takes away reason and force us to follow the flavor of the month. This is happening right now in the ignored and undervalued resource sector and true contrarians who can dismiss the negativity in the market and press could make a fortune if they have patience and fortitude. 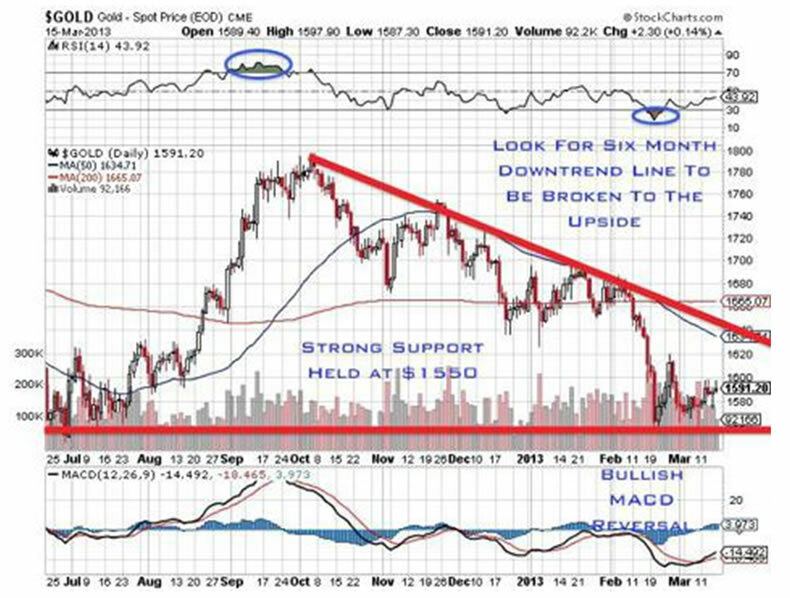 Technically, gold is basing at $1550 and should reverse at support and could break out of $1800 later this year. Likewise silver is holding $27.50 and has been basing for close to two years. There is no doubt that 2011-2013 has been one of the toughest markets for junior miners (JUNR) in several decades, but it should be shortly coming to an end. Although the 2008 panic was more severe and quick, this 24 month downtrend has been very long in duration and has shaken out the common speculator. Retail and momentum investors believe good times are here again and are chasing the overbought large cap equities into new highs, especially the banking and housing sectors. Contrarian, patient and smart money is stealthily acquiring quality juniors and precious metals at pennies on the dollar. This may be the calm before the storm. The hard asset contrarians like myself realize that Central Banks have been printing fiat currency incessantly over the past decade. Record sovereign debt and Central Bank Balance Sheets should support an eventual breakout for gold and silver into new highs. This will eventually cause speculation to return to the junior mines. New gold discoveries have fallen to new lows despite records amount of exploration capital spent. This may lead to an eventual growth crisis for the gold majors who have made poor acquisition choices in questionable risky jurisdictions. Despite the bearish markets and irrational price declines, the quality juniors with experienced management teams, exploring in stable mining jurisdictions with supportive backing will survive and separate themselves from the pact. They will come out stronger after this bear market is completed. This may provide investors with potential long term gains as they are able to buy these quality juniors at ridiculously low valuations. Disclosure: No position in stocks mentioned.